The above statement embodies the guiding principles from the following various sources. Reimer, B. 2000. Why do humans value music? In Vision 2020. Reston, VA: MENC. Music is ends and means. It is valuable in and of itself. Music encompasses mind, body, and feeling. Music is universal, cultural and individual. Music is product and process. Music is pleasurable and profound. Guiding Principles from A Report on Arts Education in Wisconsin: The State Superintendent’s Blue Ribbon Commission on Arts Education. 2000. Madison, WI: Wisconsin DPI. Selected points. 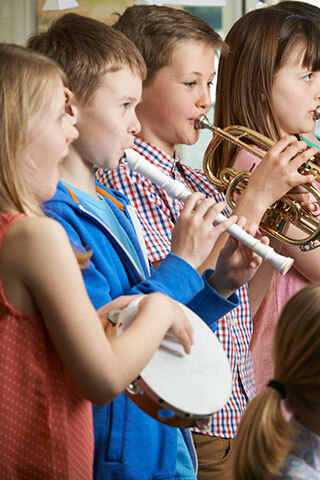 The arts are central to the development of a well educated person and the core of all learning – connecting and enhancing whole brain development. The arts are intellectually challenging and contribute directly to the cognitive, emotional, physical, and emotional development of all students. Higher order thinking skills – analysis, synthesis, evaluation, critical judgment, including imaginative and creative thinking – are developed in the arts. Students who are often turned off by traditional academic subjects find success in the arts. The arts provide opportunities for success in the creative fields of all of the arts, as well as arts related fields of study. provides a source of enjoyment which enhances the quality of life from early experiences through adulthood.